Like nearly all areas of commercial law, the lease renewal procedure is relatively simple in theory but can be a very tricky to get right without expert advice. This is because every business has differing needs and contracts will differ from landlord to landlord. A lot of businesses seem to think that a lease extension procedure purely entails calling up your landlord a few days before the expiry date and tell them you are extending your lease, and that’s job done. However, this is a wrong perception, as a lease renewal actually entails the creation of a brand new contract between you, the tenant, and the landlord, and that is where it gets tricky. 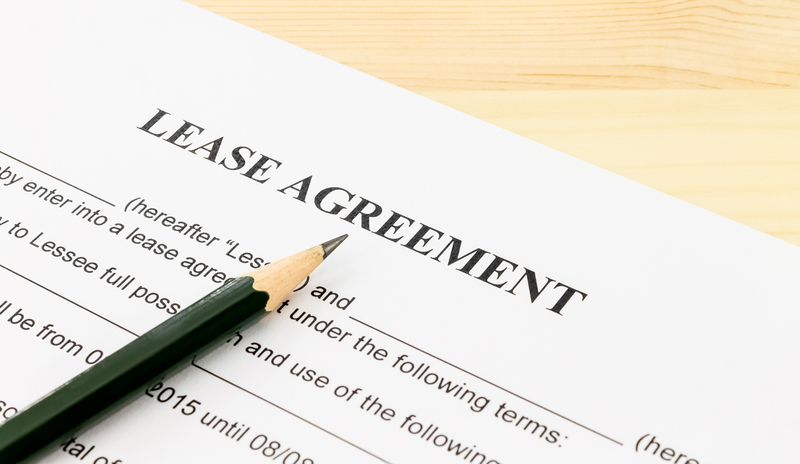 This article talks about a few things you need to consider when renewing your lease. Unless you own your own business premises, it is likely that you lease them from a landlord. The most important thing when it comes to a lease renewal is to check your lease and do the ground work early. If you have decided to move on to a new base of operations at the end of your lease, you need to make sure you give notice to your landlord in accordance with the clauses stipulated in your lease. Having to move to new premises means disruption, anxiety and a loss of earnings. Unless there are big concerns on whether they are still the right premises for you (e.g. the space has become too small or big for your team), it is possible to plan in advance and extend your lease on terms that suit your future needs. The issue if you wait too long and leave it to the last minute is that you won’t have that much power of re-negotiation on the terms of the lease and you won’t be able to get what you want out of it. You might then want to consult an expert who can talk you through your options regarding your lease renewal to make sure you understand all of the issues. In common with other commercial procedures, the lease renewal is a matter of negotiating. Most landlords will try to keep rental income for the longest term possible and most tenants will want to keep overheads a level that they feel is affordable and maintain maximum lease flexibility. When dealing with a business-critical matter like this, it is often better to go through an intermediary so that these commercial negotiations never become too personal and you can remain focused on your business. It is important not to sign the first proposal that your landlord puts forward, but to have it inspected by trained professionals to ensure all the clauses reflect what you might be expecting of it, especially if the landlord has changed the terms since your previous lease agreement with them. Plus, there may be room for negotiation on more terms than just the financial side but, as explained in the previous point, you will have more room for manoeuvring only if you carry out your renewal procedure in advance of the current lease coming to an end. What Else Might I Need Advice On? The rent you pay is only one of the points you should seek advice on. Your lease will also contain paragraphs dealing with your various rights and obligations as tenant including security of tenure, break clauses, building management and repairs, subletting, alterations, what happens if the building is damaged and the condition in which you need to hand back the space when the lease comes to an end.